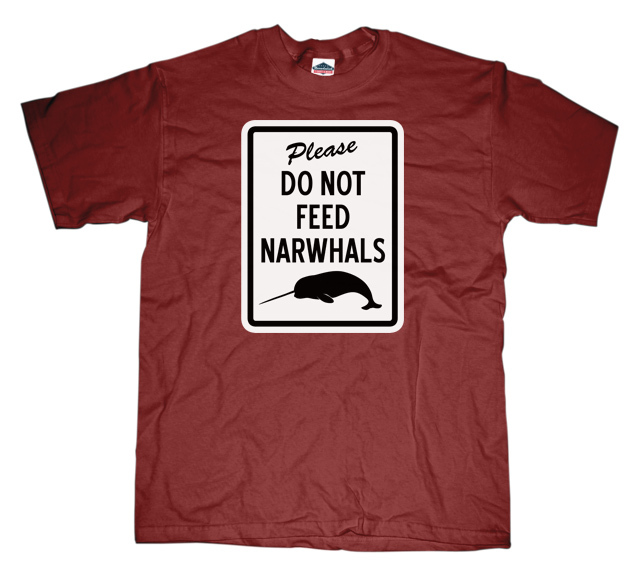 Please Do Not Feed Narwhals - Why you ask? Well they have a very strict diet and are able to bite your arm off. Plus, if you feed them after midnight, they cocoon and change into a wicked, evil narwhals.